Why is it that the universe is expanding faster and faster? Are there other universes out there? What if black holes are in fact doorways to other worlds? 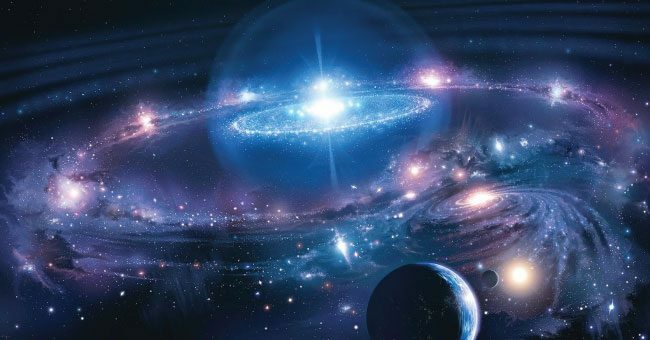 Why is the universe filled with invisible matter? And why is gravity –one of the weaker fundamental forces— the only force that has no opposite reaction? Despite the great advances in technology and different sciences, the Universe is still too vast and full of mysteries for the human race to comprehend. While we have learned so much about our place in the universe over the last few decades, the truth is that we are only coming to realize that the more we explore, the less we know. Here we bring you some of the most amazing mysteries and theories that science is unable to comprehend. The Big Bang theory is still the predominant one to explain the origin of the universe. According to this hypothesis, after the explosion, the universe expanded and became less dense and more stable, but the expansion continues. What is striking is that the speed at which it seems to be accelerating, and if this continues, scientists speculate different consequences await. One of these theories, known as the ‘Great Rebound,’ suggests that a new explosion could happen and the process is repeated cyclically. This idea however, is a mystery that –with today’s technology— is extremely hard to verify. Black holes are one of the largest mysteries of the universe: these cosmic objects concentrate the largest amount of matter in less space than any other element in the universe. And given their strong gravity, nothing can escape their limits. Apparently. Welcome to the DARK SIDE. Dark energy fills the cosmos. Another great mystery that surprises scientists is dark energy, a cosmic force that opposes gravity. The visible universe of stars, planets and gasses represent 4.9% of the cosmos, 26.8% corresponds to dark matter and the remaining 68.3% is dark energy. Contrary to what we might assume, gravity is in fact much weaker than other fundamental forces, such as electromagnetic or nuclear force. However, its power lies in that it functions on a large scale in the universe, modeling it, and that it is the only force that has no opposite reaction: it only attracts. Weird huh? What do you think? Do you agree that the more we explore, the less we know? The universe is filled with mysteries, and in order to fully understand it, we must remove the invisible boundaries that fill our minds.